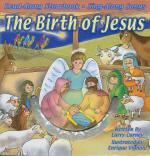 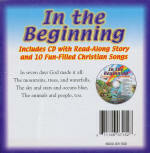 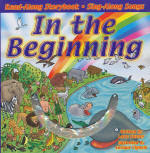 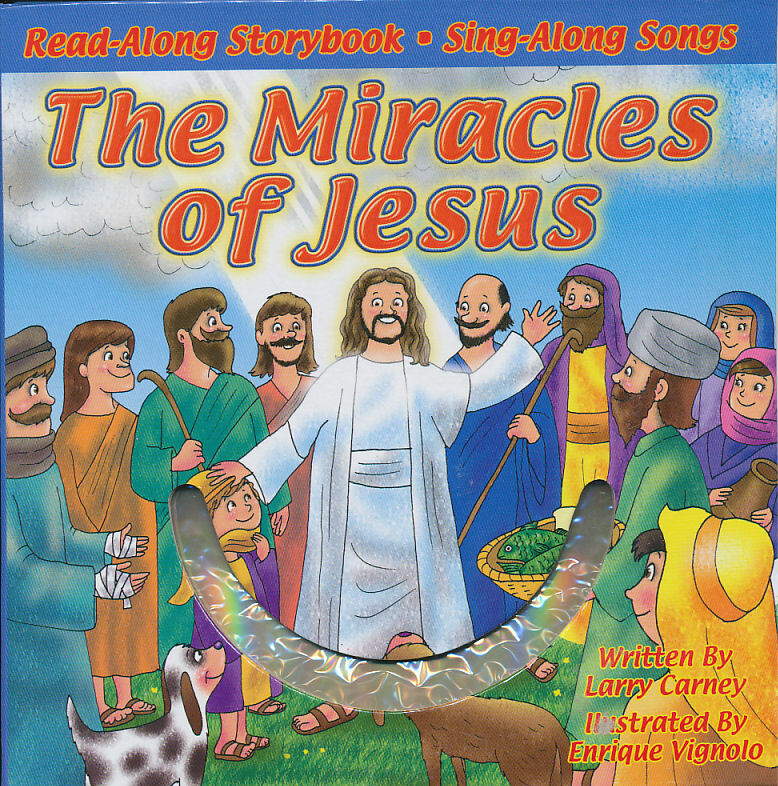 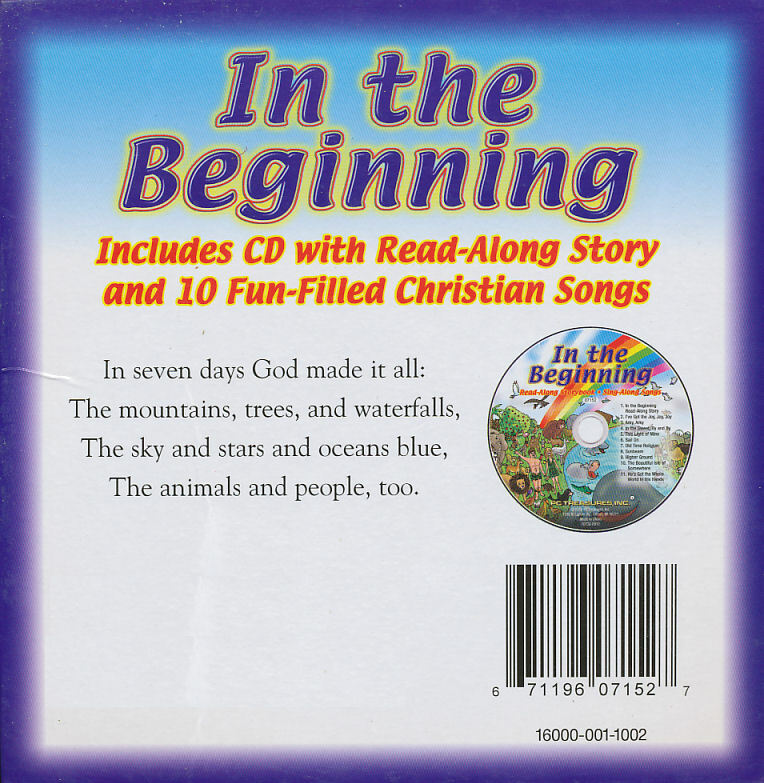 A fantastic collection of beloved children's Christian stories featuring beautiful illustrations and a read-along CD! 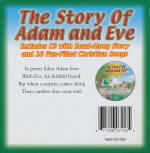 These books and fun-filled CDs represent an incredible value that is unrivaled in the children's book market. 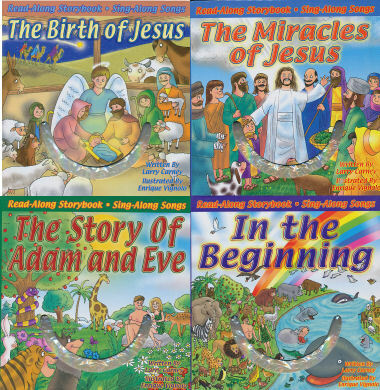 Each 24 page book measures 6 5/8" x 6 1/2"
In the Beginning - In seven days God made it all: The mountains, trees, and waterfalls. 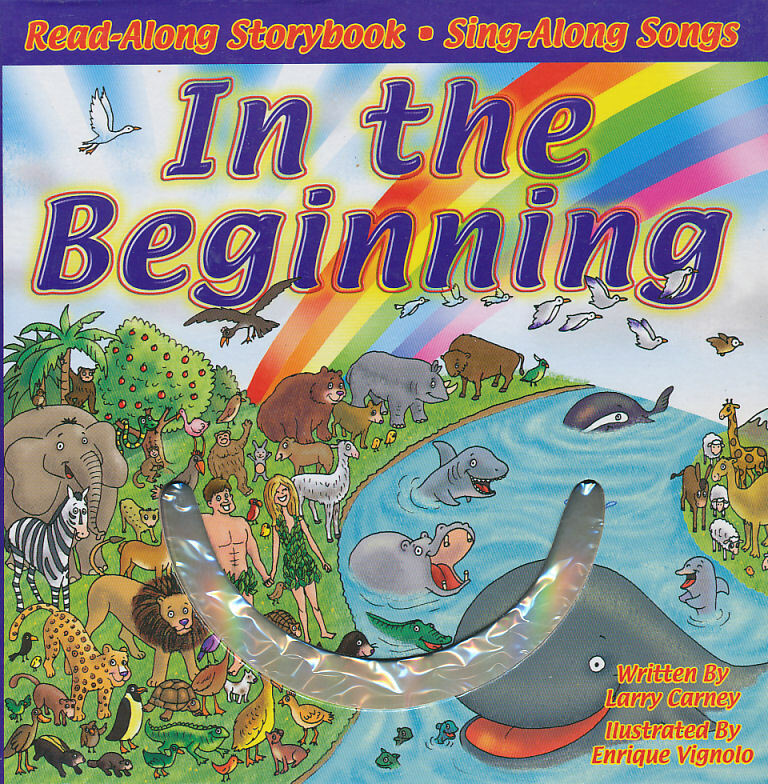 The sky and stars and oceans blue, The animals and people, too. 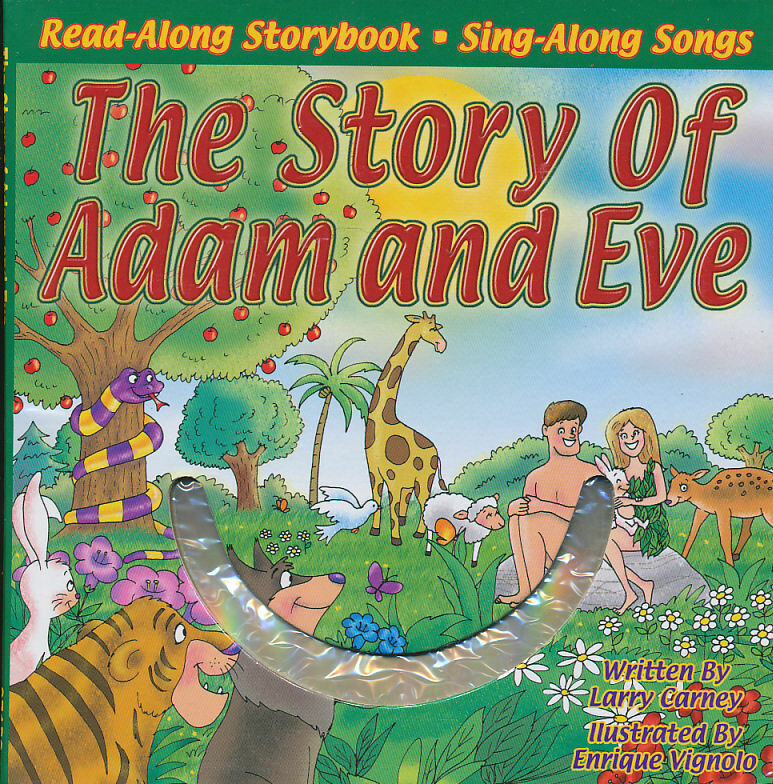 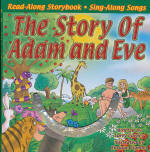 The Story of Adam and Eve - In pretty Eden , Adam lives with Eve, his faithfull friend. 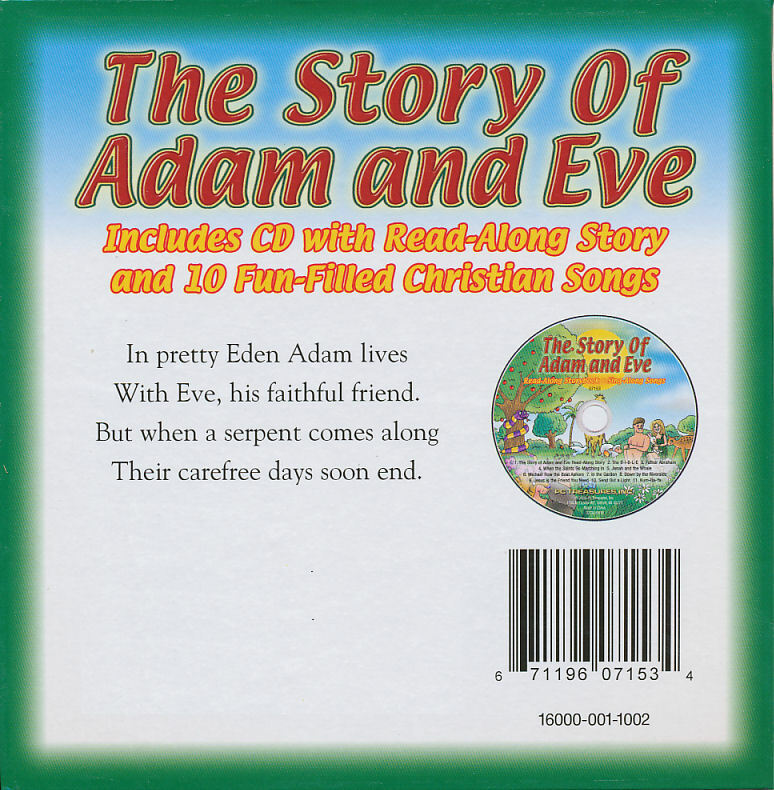 But when a serpent comes along their carefree days soon end. 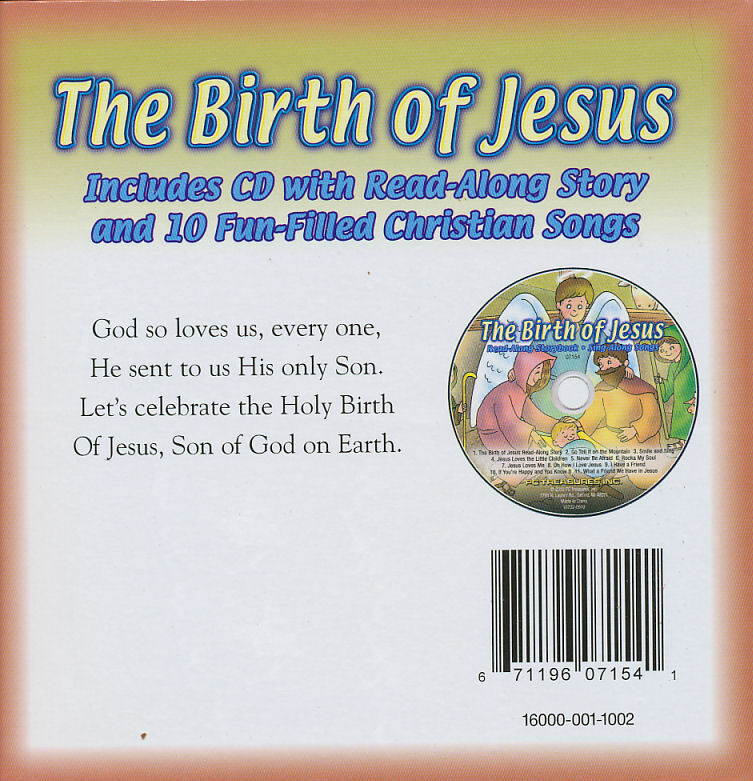 The Birth of Jesus - God so loves us, every one. 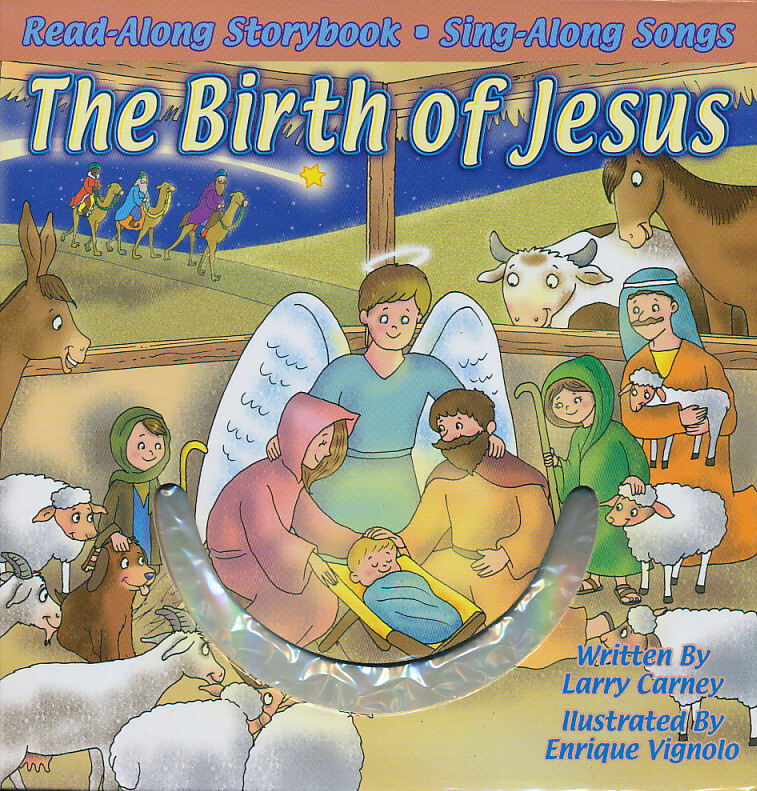 He sent to us His only Son. 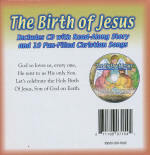 Let's celebrate the Holy Birth of Jesus, Sone of God on Earth. 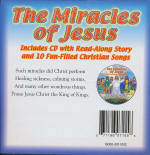 The Miracles of Jesus - Such miracles did Christ perform. 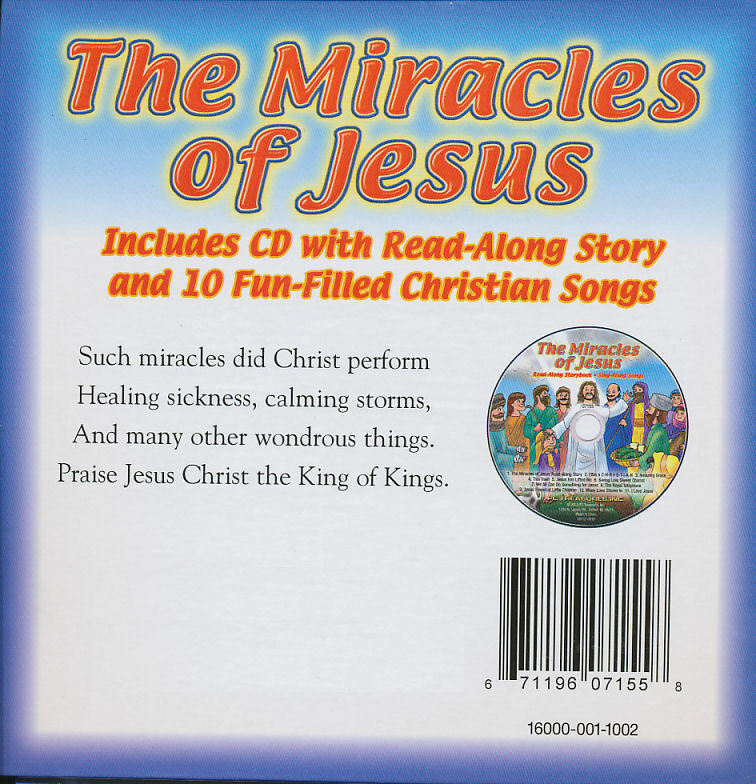 Healing sickness, calming storms and many other wondrous things. 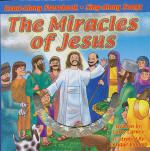 Praise Jesus Chris the King of Kings.